If you've been confused recently about whether or not you can travel safely to Cuba - you'd be far from alone. American travelers in particular may be wondering about the current requirements for visiting Cuba's pristine beaches and lands stuck in time. 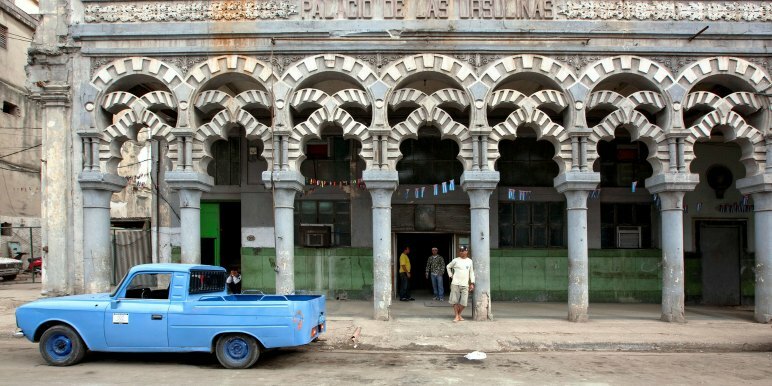 It's not you...the rules for traveling to Cuba for Americans are extremely convoluted. A rocky history, to say the least, has existed for many years between the United States and Cuban governments. The US cut all ties to its geographically close Caribbean neighbor following the Cuban revolution in 1959 - which subsequently saw the rise of Fidel Castro. This cutting of ties trickled into travel, making it illegal for American's to travel direct to Cuba as tourists, for nearly 50 years - though many still visited over the years via Mexico or other nearby countries. This had extreme repercussions for Cuba economically, and relations between the two countries has been frosty. 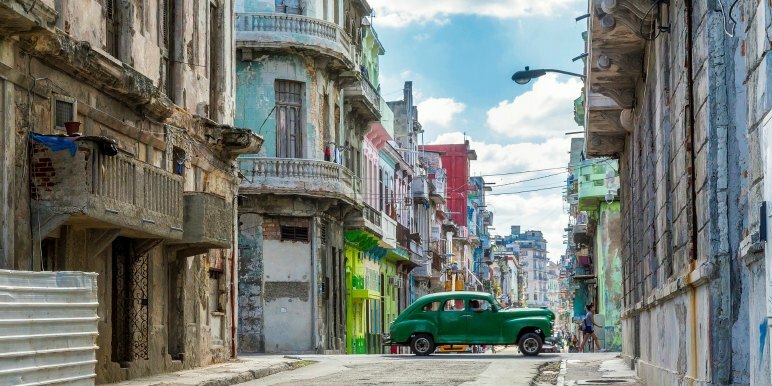 When President Obama significantly lessened these restrictions, Cuba sprang to the forefront of many travelers minds, but much confusion surrounded the issue. The main crux of the confusion comes from the fact that while, yes, it's easier to travel to Cuba for Americans, to travel there purely as a tourist remains illegal. American travelers must satisfy 1 of 12 broad categories - such as family visits, humanitarian work, and journalism. If you are traveling independently from the United States, and not with a tour, it's worth noting that once you are in Cuba these requirements matter little to the Cuban government or people. The restrictions and legality of travel to Cuba comes from the US Government, not the Cuban government. 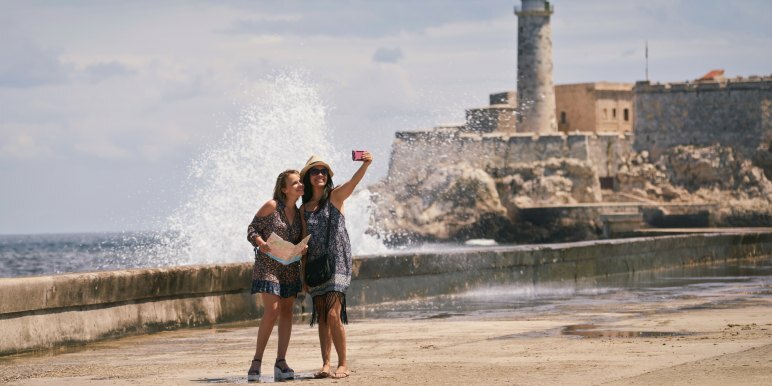 Despite the legacy of Cuba's relationship with the United States, Cuban people are incredibly warm and welcoming to travelers from the United States. In general it is advisable to avoid politics as a topic of conversation. Rather learn from them about the country, culture, and embrace the locals' love of music, food, and sports. However there are some key safety matters to keep in mind when you travel to Cuba. Read on to make sure you have your ducks in a row before you head to Cuba's shores. Like any travel destination that experiences high tourist traffic, petty crime is common - in particular pickpocketing and purse snatching, especially around Old Havana. But in general, violent crime is low in Cuba, and the cities are well policed. Because of this, Cuba is a popular destination for families. However, mugging occasionally does occur - more often at night. These crimes may have weapons involved, and the perpetrators rarely work alone - in the event you are threatened, do not retaliate. 1. Wear an over the shoulder bag, with a zipper, that you can keep in front of you. Backpacks are much more exposed and easier for thieves to take advantage of. 2. Don’t keep wallets, phones or credit cards in your back pocket. 3. Don’t wear expensive jewelry or watches. If your hotel provides a safe or lockers, utilize this for your more valuable belongings. 4. Avoid going out late at night to clubs or other establishments. Not only are these places rife with scams, it is easy to let your guard down and leave your belongings in the open. 5. Use your phone rather than a physical map. This is good tourist advice anywhere - avoiding advertising that you're unfamiliar with your surroundings allows you more control. However, the caveat to this is that there is no reliable internet in Cuba. Download the app Maps.me which uses your phones GPS rather than WiFi. But make sure you download it BEFORE you land in Cuba. It won't work otherwise. Scams, unfortunately, are easy to inflict on unsuspecting tourists. Especially given Cuba’s dual currency system, changing money can be incredibly confusing and it’s easy to get swept up in scams. 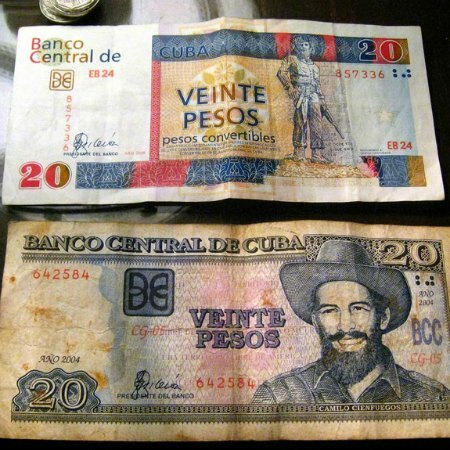 A number of money exchange scams exist - taking advantage of the confusing dual currency in Cuba. Exchanging money through unofficial channels may seem great on the outside, as they advertise cheaper rates. Due to less-than-friendly historical relations between the US and Cuba, only Americans are charged with a 10% ‘penalty’ when exchanging money, plus a standard commission of around 3%. This means that for every $1US, you will receive .87 CUC in return. A good tip for American travelers is to exchange your US dollars for euros or British pounds before boarding your flight or cruise to Cuba. However you will most likely be duped into paying for moneda nacional (MN$ - sometimes referred to as Cuban Pesos) as opposed to CUC$. These two forms of currency look incredibly similar, so familiarize yourself with the official notes. In the image below the top currency is the offical CUC$, while the bottoms is MN$. Another common scam in Cuba involves overcharging in restaurants, or delivering back the incorrect change. Look over your bill and receipt thoroughly to ensure you are being charged the correct amount and/or receiving the correct amount back. Be wary of hustlers asking to carry your luggage, give rides, use your phone or other things. This happens frequently and the scam involves theft or asking for more money than agreed upon. For this reason, always strictly determine the cab fare amount before accepting rides anywhere. Use only official taxi services as well. Lastly, Cuban scammers in Havana have glommed onto foreigners infatuation with Cuban cigars. It is legal now to bring back Cuban cigars to the United States, but be warned there is a price cap! Only up to $100 worth is allowed ($400 in souvenirs overall) - this is where the scammers come in. Though it may be very tempting to purchase one of these world famous luxuries from the street, 99% of the time you will be receiving a very cheap knock off version. 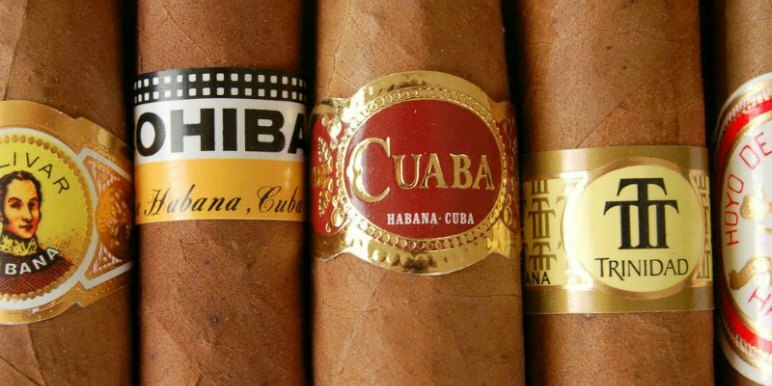 This is another advisable reason to travel on a tour to Cuba - your guide will be aware of these scams and also well aware of the desire to purchase Cuban cigars - most will be able to direct you to a reputable seller. And though they are extremely expensive, you’ll know you’re getting the authentic item. And that father-in-law you’re trying to impress, who would certainly know the difference, will be impressed. Obviously one of the main issues American tourists come up against is the legality of their travel. You may be randomly asked to show identification, including your passport. This doesn't happen often, but it does happen and you won't want to be caught off guard without an ID. If you're uncomfortable with the idea of carrying your passport around, having a clear, up-to-date photo of it on your phone will suffice. Cuba also requires all travelers to have travel medical insurance, and random checks are made at the airport upon entry. Have a copy of your policy available. Make sure you have all the documentation required to prove you are satisfying one of the 12 categories of travel. As mentioned above it is illegal to purchase more than $400 in souvenieers. Be aware that if you really care about the cigars being authentic, they may cost around the $400 or more mark - so factor that in to your buying plan. Hotels in Cuba are expensive and often overbooked, and vary wildly in comfort, amenities available, and general niceness. Unless you're prepared to go the resort route, you may be hard pressed to find acceptable hotels at a decent price. The tourism infrastructure in Cuba has had to rapidly respond to an influx of interest and tourist traffic, and this is apparent when you book a place to stay. This is a great reason to travel to Cuba on a tour rather than independently. Many travelers to Cuba recommend using alternative accommodation such as airbnb, or homestays (known as a “Casa Particular”). These also vary in authenticity and basic living standards - but less so than the hotel sector. Always heavily vet if you are planning to stay in alternative accommodations such as this. You can verify an official Casa Particular by the symbol of a large blue anchor above the door. Often these can be booked same day, for adventurous travelers. 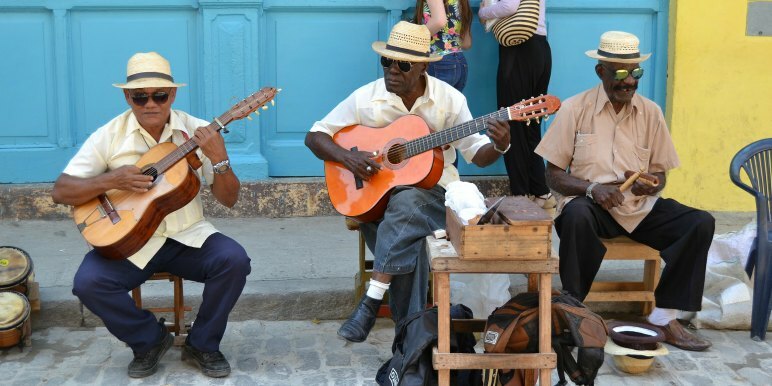 Here are 25 tours that include homestays in Cuba. Solo travel in Cuba has increased exponentially as it is not strictly required to travel to cuba on a tour. Precautions should be taken, but many solo travelers have indicated that they have generally felt very safe traveling in Cuba. Travel blogger Anne Lowrey who writes at Part Time Traveler notes that while she had heard that it was safe to travel in Cuba she was skeptical given conflicting reports. But she came away feeling that Cuba is among the safest destinations to travel alone, and as a woman. I felt absolutely, wonderfully safe as a woman traveling in Cuba. I wouldn’t hesitate to recommend it to any female traveler, solo or with traveling with other women. I found it to be one of the safer places I’ve ever been in all the world. Part of the culture is men complimenting women as they walk; you may find the ‘catcalling’ (for lack of a better phrase) a bit uncomfortable, but I found Cuban men generally to be more respectful than harmful. Havana is a fascinating place to visit, and where most tours and travel in Cuba begin. 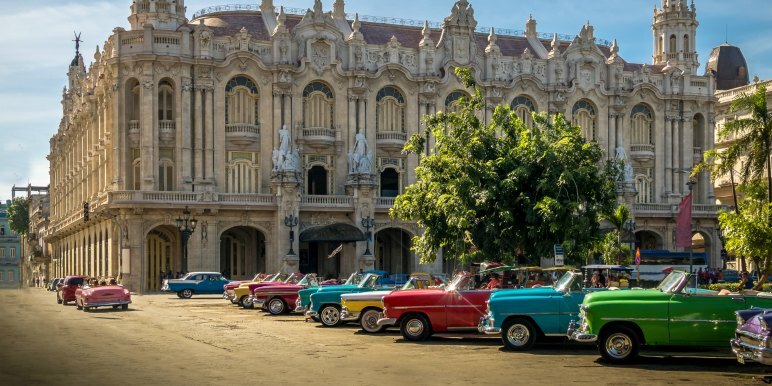 This is the heartbeat of the country, and Old Havana with its classic cars, colorful buildings, and historic sights is the heartbeat of Havana. With this popularity comes the scam artists, pickpockets, and bag snatchers. And while Havana has a high police presence, unfortunately these crimes are not uncommon. In areas with a lot of tourists it’s simply a matter of volume and opportunity. There are a number of nightclubs in Havana, and if you choose to head out for the evening do not leave your bag unattended as you hit the dance floor. This is one of the most common places theft occurs. Casual dress is perfectly acceptable throughout Cuba. Don’t wear flip flops though. The streets are in disrepair and very uneven, especially in Havana. You WILL stub your toe or hurt your ankles if you wear open-toed or flimsy shoes. Consider tennis shoes, boat shoes, or a rubber soled multipurpose sandal. These often have better ventilation than tennis shoes, which will be nice as it gets warm and you will be walking a lot. Havana is one of the best places for eating in Cuba - with restaurants beginning to combat the somewhat monotonous nature of Cuban food and ingredients. In general, the food in Cuba is quite safe, if a tad simplistic. Food borne illness is not widely reported from travelers who have visited Cuba. It is a general fact that you should avoid drinking tap water in Cuba. Bottled water (called Ciego Montero) is available in abundance in the cities, but can be difficult to find once you venture into the countryside. If you know you’ll be exploring some smaller towns in Cuba, stock up on bottled water before you go. One of the most popular ways to eat in Cuba is a visit to one of the many "paladares" meaning "in home restaurant". These are quite literally small restaurants, often run out of local homes. They provide a wonderful opportunity to glimpse local life in Cuba, and enjoy a meal beyond the typical "rice and beans" fare. 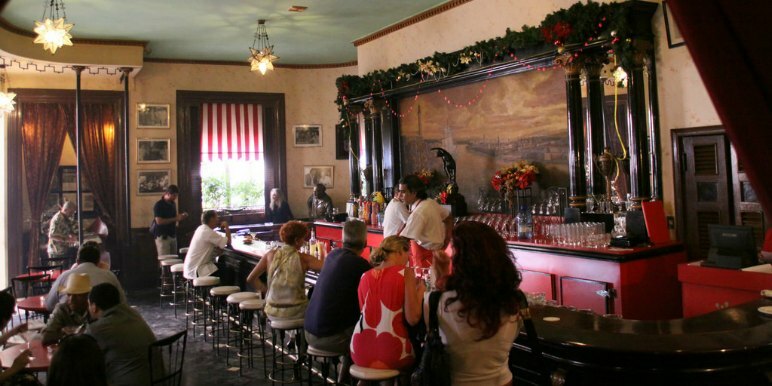 Cafe del Oriente is perhaps the best ‘fine dining’ establishment in all of Havana. Expect a good imported wine list and everything from steak to fish. A bit pricey but good food. Habana Mia 7 is a tiny restaurant very close to the Malecon. On the menu: octopus, risotto, and fresh fish. Another spot for a nice dinner out in Havana. Somos Cuba is a classic Havana paladar run by a couple. It’s a small, casual place with basic but delicious food. Have patience as the service can be slow. La Guarida is one of the city’s more upscale and popular paladares. Walk up the marble staircase into the grand dining room and be transported back in time. Delicious food from seafood to lasagna. Le Chansonnier delivers white booths with table clothes and an upscale dining experience. While waiting for your food, take in the beautiful artwork on the wall created by local Cuban artists. Dona Eutimia is one of the more well-known paladares in Old Havana. Guests can sit inside or out and can expect basic Cuban fare. Not cheap but not fine dining prices either. Some travelers have reported that the government presence in Cuba leads to a somewhat manufactured experience. If you want to brave it, renting a car to venture outside the cities to the countryside can be a way to see a different side of Cuba. 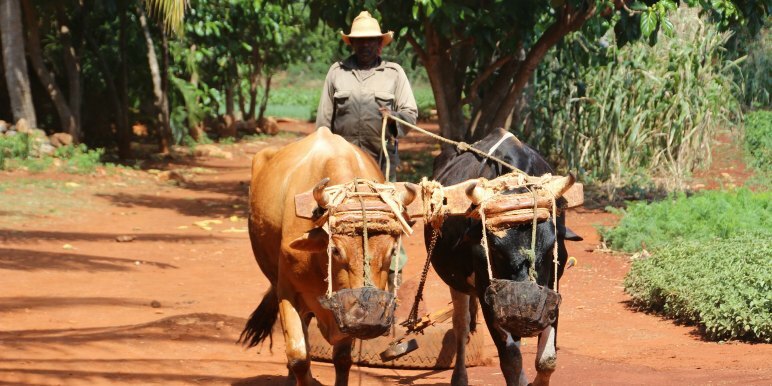 The roads in Cuba are notoriously in bad shape due to a lack of country-wide road maintenance. It is highly advised to not drive on your own, for safety reasons. 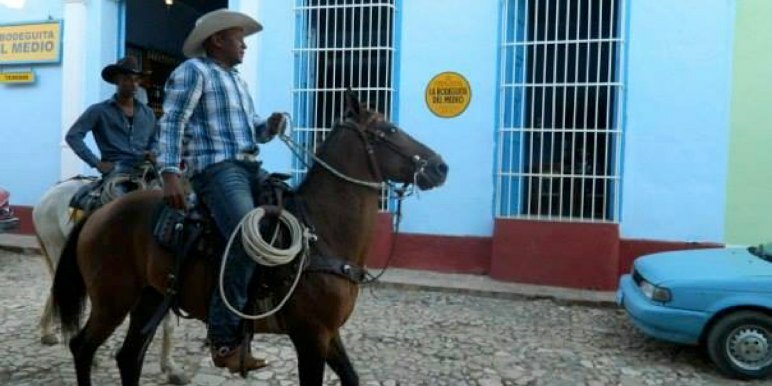 Roads are extremely ill-lit throughout Cuba, and hazards range from pedestrians to donkey and horse carts, to motorcycles, to, rather humorously, hazards that warn of other hazards. Due to the lack of safety awareness infrastructure, often times people will place a large stone or branch in the road to signal a larger more dangerous hazard up ahead. However, these smaller roadblocks often become bigger problems, as with the lack of lighting drivers can’t slow down in time. Another thing to be careful of is rail lines. They will come up without warning, and often may appear overgrown and out of use. But most are still operational and trains will barrel through. Traffic lights are often out, and roads are not clearly marked the way we are used to seeing. Participants in road accidents are heavily fined, regardless of who is at fault. And Cuba has strict laws in place for insuring and licensing drivers. You must obtain a copy of the police report ("denuncia") to be eligable for insurance coverage - and this process can easily take up to a day or more. 1. 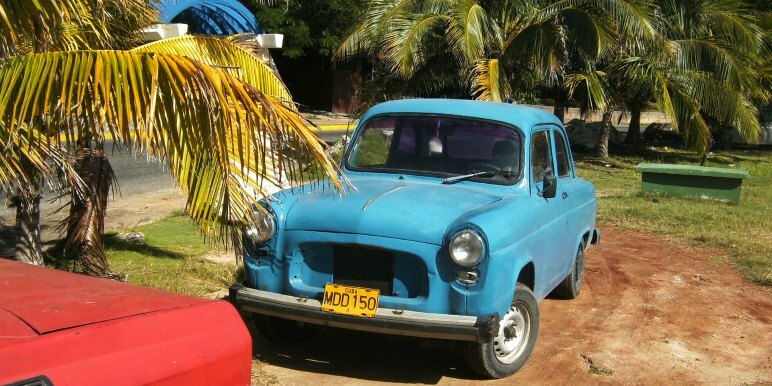 Most cars in Cuba are manual transmission. 2. When you rent a car, you purchase one tank of gas and return it empty. If gas is left in the tank, you will not be refunded. 3. Car reservations can only be made 15 days in advance. This is another area where scams are common. 4. Petty theft of mirrors and other car parts is also common. Paying someone to watch the car overnight is highly advisable. 5. Drive slowly and carfully. The right of way is essentially "first come first serve" in Cuba. Visas are required for all American citizens traveling to Cuba, and your passport must be valid at the time of entry. However it is best to ensure that your passport is valid at least 6 months prior to your travel. Most tour operators usually include this fee in the price of the trip, or have a separate visa fee that is paid once your trip is confirmed. Either way, it’s a good idea to book a Cuba trip with a tour company who will handle the visa logistics for you. UK citizens also must obtain a tourist card before traveling to Cuba. Medical care in Cuba is quite good, with more doctors per capita than many other countries. However, you should always travel with insurance and many tour operators can recommend a plan to cover you while on your trip. Only routine vaccinations are required for Cuba, however, the CDC does recommend both Typhoid and Hepatitis A vaccinations for some travelers. Thanks for reading! While this material doesn’t cost a cent, it isn’t free. We put a lot of work into this, to make sure you only got the most reliable and valuable information. So if you found this post useful, please email it to 2 friends who you think would also find this valuable. 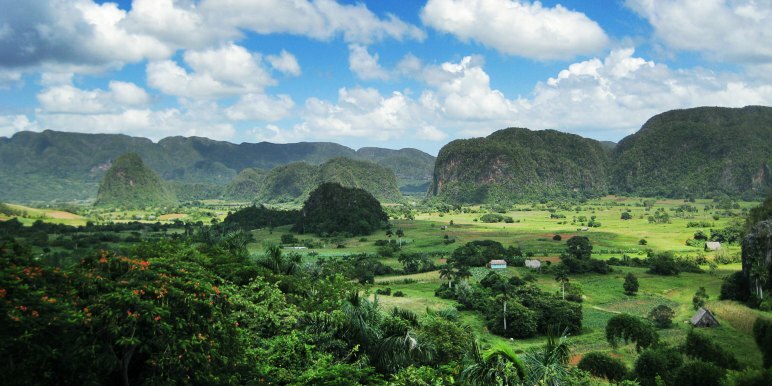 Ready to visit the beautiful lands of Cuba? 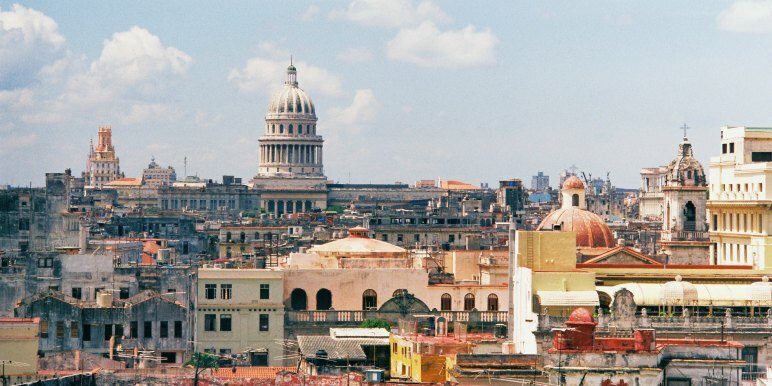 Enter a destination below or Search over 130 Tours to Cuba on Stride.